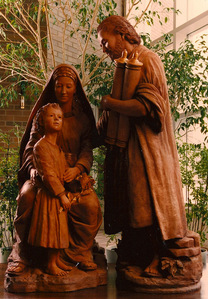 This is our first sacred art commission and is made from large sections of fired terra cotta clay. 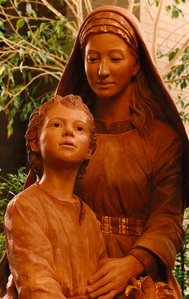 The life size composition was then polychromed with oil pigmentation with gold highlights. 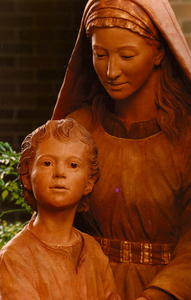 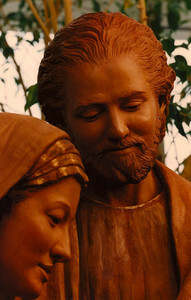 The sculpture is in St. Raphael Church in Naperville, Illinois. 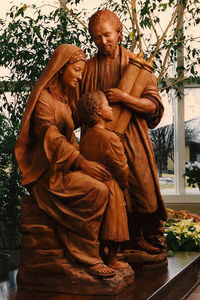 St. Joseph holds the Torah scrolls rather than carpenter tools. 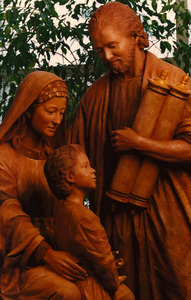 The presence of the Torah scrolls symbolizes Christ's fullfillment of the scriptures.